The most crucial step is finding the best place to install your Gutter Gardens. Keeping the Gutter Garden at or near waist height will really make a difference in dead-heading, watering, and watching your plants grow and flourish. It will also deter the rabbits, squirrels, raccoons and groundhogs from helping themselves to your bounty. Be mindful of the sun requirements and planting dates on the seed packets. We will be happy to help you determine what to buy and where to mount it. See the Personal Recommendations page for more details. Your Gutter Garden™ will have all hardware and detailed instructions included with your purchase. If hanging your Garden from a balcony or deck railing, determine the circumference and make note of it. You'll get a 15" long stainless steel cable tie for each one foot length of a 6" wide Gutter Garden™ and two stainless steel cable ties for each foot length of an 8" wide Gutter Garden™. If the circumference of your rail is greater than 15" please let us know. If you want to use screws to attach your Gutter Garden™, you will receive enough stainless steel screws for the length you purchase. The holes (approximately every 2 inches) on the back side are for the stainless steel zip-ties you will receive with your purchase. 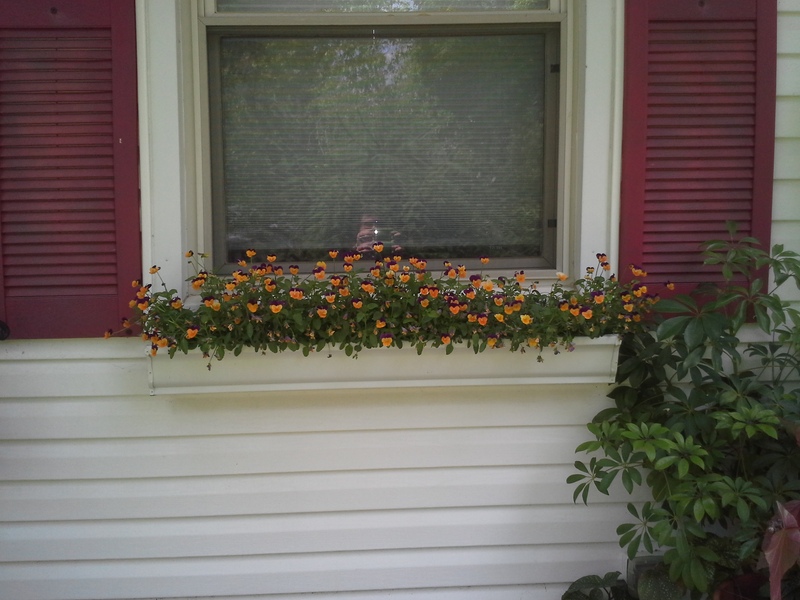 Those same holes can be used for screws if you have a wooden fence or deck or if you want to use a Gutter Garden™ as a window box. Be sure the Gutter Garden is level (most railings are level already). The stainless steel zip-ties should be installed through the holes nearest each end cap. The black, UV rated cable ties can be used to loop through balusters on a deck or balcony railing for added support and stabilization. Bring the top of the Gutter Garden to the absolute top of the baluster to maintain stability. The GG should not ‘wobble’…it must be even and level. Don’t forget that we will deliver and install your Gutter Gardens for a small fee if you are in the greater St. Louis area. Watch the video to see how it's done. The only tools you'll need are needle-nose pliers and a tin-snip. If you need to use screws, we will send you the appropriate number and type (stainless steel or tap-cons) Locate a surface that is flat and free from wood rot or faulty surfaces. What kind of soil medium? Be sure to buy a good quality Potting Mix. Many types contain 6-9 months of plant food and some include moisture control. We recommend you get NEW soil to prevent contamination from seeds and insects. We recommend that you begin using water soluble plant food around the 4th of July. You must use POTTING MIX for any kind of container gardening…don’t be tempted to use soil out of your garden or bagged top soil. It must be POTTING MIX. Some potting mixes are pre-packed with fertilizers and water saving media. Again, be mindful of the sun requirements and planting dates on the seed packets. Sometimes, you may need to start the seeds indoors before transplanting them. Alternatively, many Gutter Gardeners purchase young plants and establish them in season. 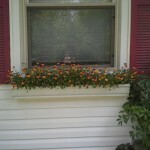 If your planter is a 6 inch wide Gutter Garden, it is best to use the 'six' or 'eight' pack flowers or herbs. For this size planter, you may see success up to a 4" nursery pot...but don't use anything larger, or the root system may have difficulty establishing itself. If using an 8" wide planter, you can easily use any nursery pot that is 6" or less. Gutter Gardens recommends using a watering can with a single spout instead of a sprinkle watering can or a hose (which are sometimes too forceful for the seedlings). This will also help control the placement of the water and avoid sprinkling below. One advantage of the 8" wide planter is that it does not need watering as often because of the higher volume of soil medium. Another tip is to put thoroughly moistened fine mulch (I personally like the Black Forest Mulch by ProLine) on the top layer...this keeps moisture in.